Dominic Harter has rejoined HARMAN to head up Soundcraft’s global sales operation, following the promotion of Adrian Curtis to VP Sales of the HARMAN Professional EMEA sales team. Harter originally joined HARMAN in 1998, primarily to manage the systems supply of HARMAN equipment to the Millennium Dome project, working with all the HARMAN brands on all aspects of the project. With the completion of the project, Harter became Sales Manager with BSS Audio and C Audio, using his technical knowledge and sales skills to support the distributors and products. 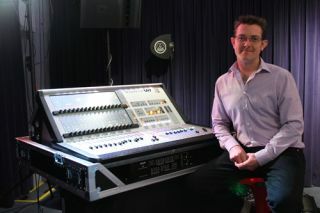 Harter has spent the last 10 years with Turbosound, where he was Director of R&D before becoming Sales Director.